AV Adult Education in the community! On Thursday October 18, 2018 the 28th annual Senior Health Expo was held at the AV Fairgrounds to offer free health screenings including free flu shots. AV Adult Ed gladly accepted the invitation to attend this event and assist the community. Our medical students were able to obtain hands-on training and experience in this fun and helping event. Antelope Valley Adult Education loves our community! LA Red Cross AmeriCorps Team is Recruiting! Looking for a way to take your service to the next level? 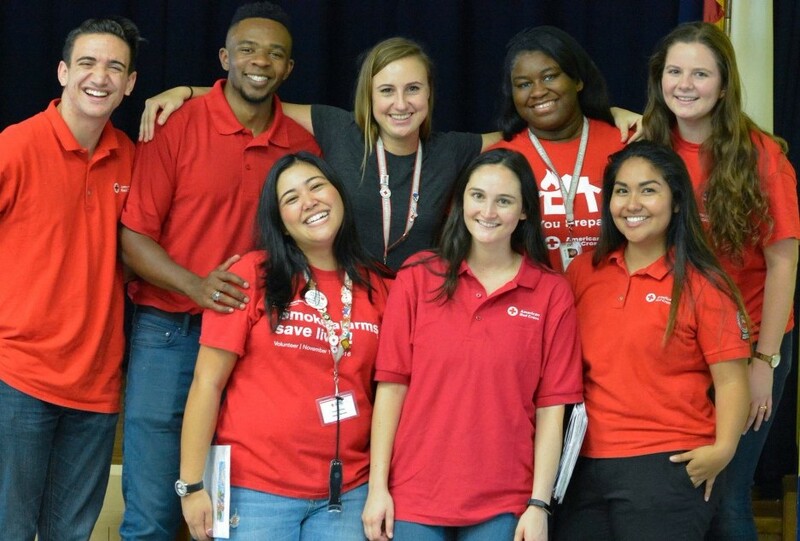 Join the Los Angeles Red Cross AmeriCorps Team! We are looking for highly energized and service-minded individuals to join the Red Cross AmeriCorps Team starting September 10th. This is an 11 month, full-time national service role - perfect for graduating students, individuals interested in emergency management, or those looking for a dynamic career change. AmeriCorps members make a tangible difference in the lives of Red Cross clients and volunteers, all while earning money towards higher education. Benefits include: Bi-weekly Living Stipend, Health and Dental Insurance, Child Care Assistance, Student Loan Forbearance, and $5,920 Federal Education Award. Training communities through emergency readiness activities such as Pillowcase Presentations and Home Fire Campaigns. Training Spanish-speaking communities in a culturally relevant, disaster preparedness education program. Members must be bilingual in Spanish to apply. Supporting Red Cross Youth Clubs and training communities through emergency readiness activities such as Hands-only CPR, Pillowcase Presentations, and Home Fire Campaigns. To apply, please click on the button blow. Introduction to procedures, operations, drugs, medications, dosage forms/strengths, inventory control and assisting the pharmacist. Introduction to procedures, operations, drugs, medications, dosage forms/strengths, inventory control and assisting the pharmacist. Externship opportunities available. This is a full-year program from August through May. Interested new applicants should visit or call the school to be placed on the interest list for Aug, 2018.